WWSC is located a few miles south of East Grinstead just off the A22 at Forest Row. We sail on 115 hectares (280 acres) of water set in the heart of Ashdown Forest, giving the lake one of the most beautiful panoramic views in Sussex. We have excellent clubhouse and supporting facilities. These, coupled with our RYA Training Establishment status, provide the ideal environment for you and your family to learn and enjoy the sport of sailing. 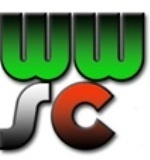 WWSC is a members-only club catering for single and family members. Our members include serious racers, as well as those who enjoy their sailing but choose not to race. The club has a fleet of dinghies which members can hire if they do not have their own boat. We also have an active cruising section for members who like to take off at weekends and sail at the coast.